Legally Record, Convert & Enjoy Movies, Video Streams and DVDs. Video Stream Recorder. DVD Ripper. Video Downloader. Format Converter for TS Files for TV Recordings. Video Converter for PCs, Smartphones, Tablets, Netbooks, etc. Cloud Manager. Locate, record, download, convert & enjoy music movies & radio stations anywhere. Web radio recorder w/wishlists. Video streaming recorder. Save audio streams as MP3s. DVD ripper. Audio & video converter. Cloud manager. Targeted MP3 Recordings. Enjoy radio stations, music & podcasts anywhere. Record from over 870,000 albums by 590,000 artists on 60,000 radio stations for free. ID3-tags, lyrics and album covers. Podcasts, music TV, cloud manager. Legally Record, Convert & Enjoy Protected Music, Movies & DVDs Anywhere. Video Stream Recorder. Internet Video Downloader. Convert Video to MP3. Save Audio Streams as MP3. DVD Ripper. Audio & Video Converter. Cloud Manager. Analog TV software solution for you to watch, record, pause, replay live TV/teletext program or listen to digital radio on your PC. Record Skype, QuickTime, iTunes, Safari/Firefox/Chrome, Line-in, Mic to mp3. 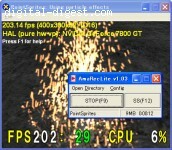 Boilsoft Screen Recorder(http://www.boilsoft.com/screenrecorder/index.html) is a powerful screen-recording software that can help you record and the screen activities into AVI or WMV files. Camtasia Studio gives you the power to easily record your screen, PowerPoint presentations, voice, and Web camera video to create compelling video tutorials, training presentations, and rich sales demonstrations for Web and CD-ROM delivery. ChrisPC Media Streamer is a powerfull broadcast software application with a friendly and ergonomic user interface that allows you to stream your favorite TV shows and multimedia files to your friends through local networks and internet. ChrisTV Online! - Watch and Record worldwide live television and radio online, 1800+ online tv channels and 600+ internet radio stations, Free online TV channels from around the world. Watch TV online. Corel DVD MovieFactory Pro 7 is all-in-one HD disc creation and burning software for quickly turning photos and home videos into professional-quality DVD, AVCHD and Blu-ray discs with stunning menus. CTpvr records your favorite TV shows on to your PC so you can watch them around your schedule.